I've been wanting to try Mango for a long time now. This Sorbet looks fantastic!! So refreshing. If only I could eat it right now without making it. Ahhhhh. Your last two recipes are divine. This proves to me why I need an ice cream maker. YUM. 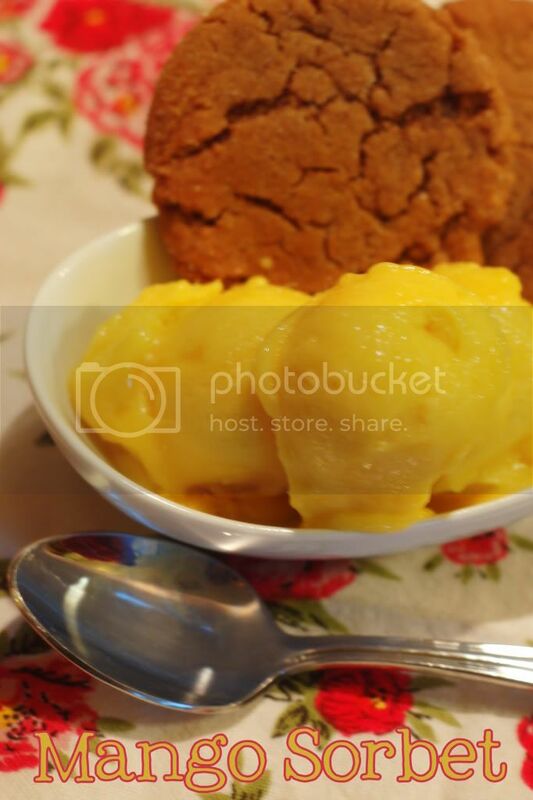 I love mango sorbet and I bet it goes wonderful with a ginger snap!!! It tastes even better than it looks! I'm buying more mangos soon. This looks delicious, love those mangos and ginger snaps too!